Whether you can’t find exactly what you’re looking for on a website or online, or you just really enjoy working with your hands to create new pieces for your home, DIY (Do It Yourself) furniture could be the perfect solution for your needs. Not all DIY furniture projects are terribly difficult. Look over some of the free plans to determine whether you have the tools, the time, and the skills to make your next item of furniture. One of my most recent projects is some patio furniture I made for my son-in-law’s birthday. I have received many compliments from this set, and even a few requests to build more The step by step instructions made it very easy for me to construct. This is one of my favorite DIY furniture peices yet. table/benches. I was suprised at how well it turned out. Making coffee tables has always been one of my favorite DIY furniture projects to work on. I think it has to do with the size. They are not too small, and not too big. So that makes things a little quicker and easier. Another thing that makes coffee tables so great is they can really make your living room look good. A nice looking coffee table in the living room is a must. This coffee table is made from red oak. Both the top and bottom shelves are made from 4 peices (1 per leg). The project was very easy. It is a good project for those who are just getting started with woodworking. It only requires a basic set of tools and the finished product looks great! A tool rack is a great way to keep your tools organized. There is nothing worse than not remembering where you left a tool. There are also good for protecting your tools too keep them lasting forever, but keeping them close and easy to get to all at the same time. This rack was made using pocket screws, some pegs, and pine. Looking for a simple DIY chair? This chair has a very simple construction with all the wood being the same exact size. All you need to build this chair is a drill, some hardware and the wood peices. Very easy. For such a simple design, this chair is very stylish! 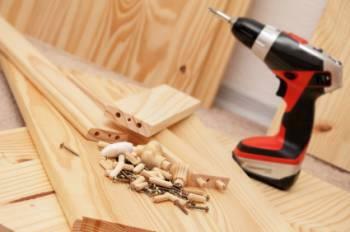 Furniture woodworking plans are essential if you wish to start a DIY wood project. It is necessary because it would guide you through the different steps that you need to take as well as help you visualize what needs to be done and the possible outcome of the project. Good furniture woodworking plans would provide you with a well paced instruction which includes diagrams, illustrations and even videos that would take you through every step with ease from beginning to completion. Over 16,000 woodworking plans! If you enjoy woodworking then you have to click the link and take a look. There are step-by-step instructions for beginners and experts. There are plans for any woodworking projects that you could possibly think of! Check it out now!